DR Instruments: Supplies from Utility Carts to Dissecting Scissors, Forceps & More! As a manufacturer, DR Instruments is a direct source for dissecting instruments and dissecting tools (dissecting scissors, scalpels, scalpel blades, forceps, and dissection kit supplies ) for the educational market. 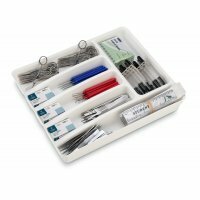 Our dissection kit supplies and tools are appropriate for studies in anatomy, zoology, botany, and biology. These quality yet affordable dissecting instruments are designed to enhance students' learning and dissection experience. Further serving the science educational market, we offer top quality microscopes, slides and microscope digital cameras manufactured by the top manufacturers of the Industry. We offer industries top brand fine quality lab coats and scrubs polyster/cotton blend with higher cotton contents and also 100% cotton lab coats. We offer industries top brand eye wears (safety goggles & safety glasses), lab aprons. We offer the H. Wilson, Luxor, and Lakeside line of Audiovisual (AV) Carts, Presentation Stations/Stands, TV Carts/Stands, Healthcare carts and food service and house keeping Utility Carts. 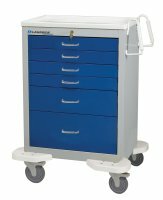 DR Instruments is a master distributor of many different utility cart items, and so we can offer great savings to you on these fine . For reef hobbyists, DR Instruments has designed an array of tools to make tank care easy. Our coral cutters and aqua-plant forceps are great for tank maintenance and beautification.